‌We need the paddling communities help!! Paddlers need a place to store equipment, run classes for kids and adults, practice and compete. Help us build a water sports hub in Kingston! -Over 30 Youth and Adult recreational to high performance kayak SUP and rowing vessels. 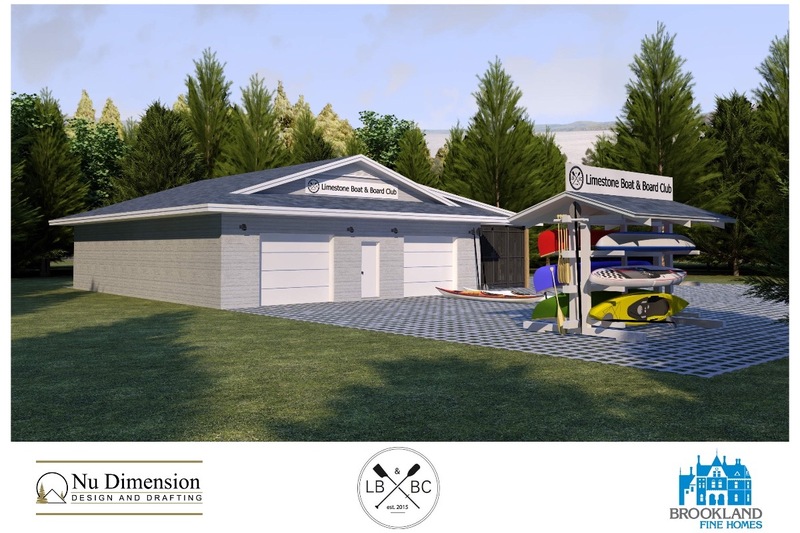 The City of Kingston has passed an agreement in principle to rejuvenate our park but FIRST we need to raise $120,000 to build a boathouse on the shores of Collins Bay in Rotary Park. We have raised over $95,000 in equipment and docks through grants which includes a public dock and ramps to make the water accessible to everyone. Now we need your help to raise the basic costs for the construction of our club building. 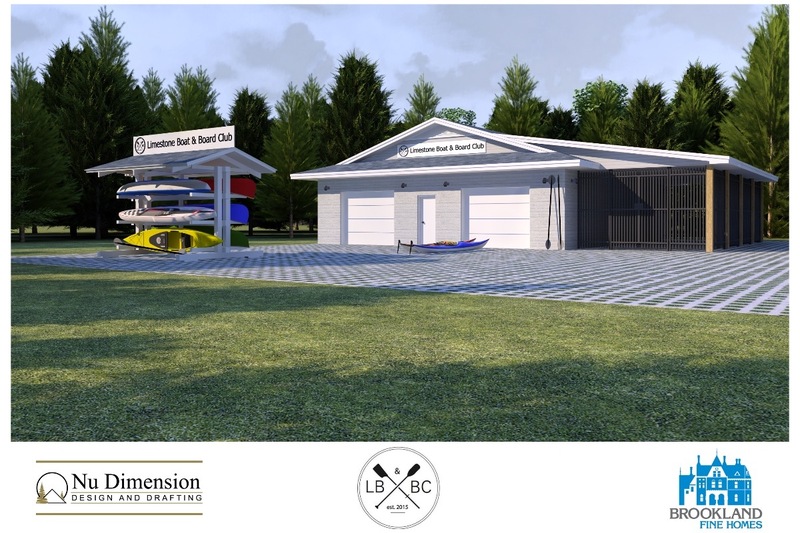 Our new Boathouse would include indoor storage for our recreational and racing equipment, a space for our kids programs on nature and conservation stewardship and a dry place for teaching the community our Paddle Canada classes on safety and water activities. The facility also includes gated storage for the community to house their own equipment safely. Several businesses and individuals have volunteered time and materials, but we do require cash to make it happen. Once raised, our funds for the building will be matched 3:1 by the City of Kingston as they will invest $340,000 to improve the park grounds and pathways. 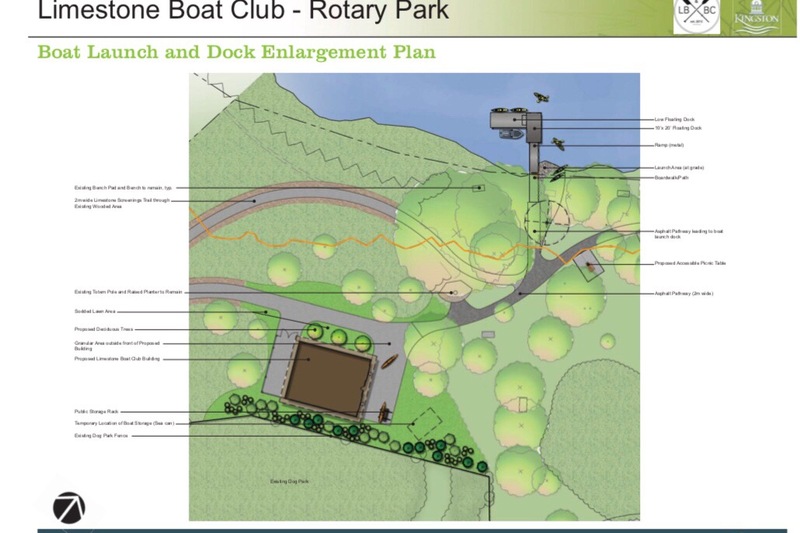 Extending public pathways, new shared parking for a dog park and the club and creating accessible trails to the water, an accessible boardwalk to a public dock for launching non-powered watercraft which includes special fittings for accessible kayak launching. Due to removal of diseased Ash and Elm trees in the area to be affected, we will also be planting more indigenous conifers and deciduous trees to recover the area. Help us make this a reality for water sports paddlers in our area! !